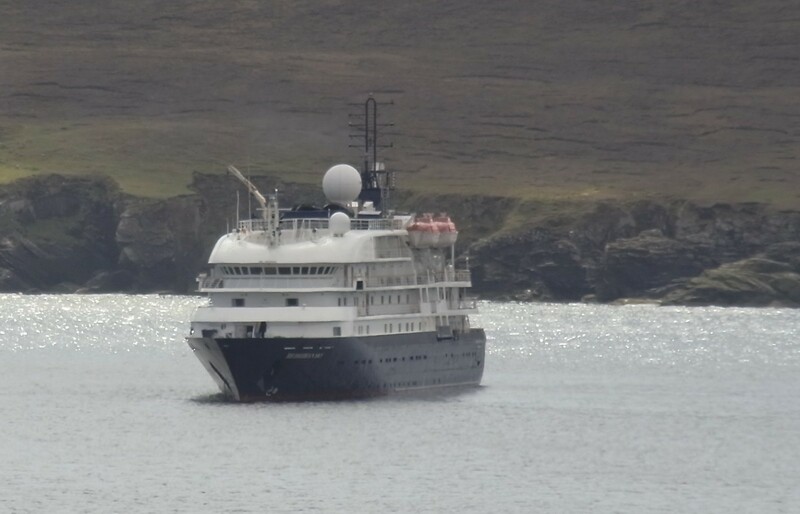 This past weekend Fetlar played host to two cruise ships. The first that have visited the island for perhaps twenty years. Ocean Nova (pictured left) arrived for a short visit on Sunday afternoon. Passengers spent time in the Fetlar Interpretive Centre which was very convenient with their landing point at Houbie. Others took advantage of the lovely day to venture out and explore parts of the island, with lifts provided by local people to some of those who required assistance. On Sunday the Hebridean Sky (pictured below left) arrived for a planned visit. With the weather holding and Monday proving another beautiful day, Conditions were good for landing and the passengers were able to see the island at its best. 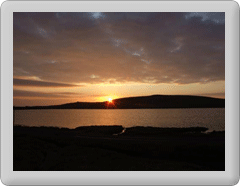 A number of walks were organised and passengers visited Fetlar Interpretive Centre, where as well at the normal exhibits. A number of local ladies whose crafts sell under the "Hand made in Fetlar" label were present providing various demonstrations of knitting and spinning. A wide range of their crafts were available to buy in the craft shop. Transport was also provided for those who wished to take them up the road to the public hall where a number of North Isles Craft providers provided demostrations and had various beautifully made crafts on sale. All this was complemented by the wonderful music provided by a group of musicians from Unst and Fetlar, whoise music provided a wonderful atmosphere. Fetlar cafe were also on hand with a pop up cafe serving cakes and cream teas which seemed to go down very well with our visitors. An enjoyable day was had by all and we look forward to 2017 when the next ship visits are due.